The clocks have gone back and the shorter days are with us again but don't think of hibernating during the winter months. The Lazy Tuesday walks are restarting for the months between November and March. These are country walks near London starting and finishing at stations within Zone 6 or just outside. They are in the range of 5.5 to 8.5 miles with nice pub lunches and/or tea and cakes in cafes. The idea is to NOT to get up at the crack of dawn and (if possible) to have "bail out" options in case of bad weather (not guaranteed). These walks will also be subject to a Weather Check on Monday evening. If the forecast is too dodgy, the walk will be rescheduled until later in the week. so if you are planning to come one one of these, always check our web calendar after 9pm the day before. The following are planned for November and December - these are repeats of walks I did last winter and in the New Year I will be trying out some new Lazy Tuesday walks. A pleasant Autumn walk along Banstead Downs, 2 golf courses, a prison, Oaks Park, Woodmansterne and back to Bansteadstation by field paths. Starts and finishes in Banstead so you can use your Oyster Card. 6 Commons Walks (circular walk from Esher) 6 miles. A hilly circular walk from Caterham, taking in the ancient and unusual church of St Peter and St Paul at Chaldon, Coulsdon Common and Kenley Aerodrome. The Norman church contains the oldest known wall paintings in Britain, dating from the 12th century which vividly portray theLadder of Salvation which souls must climb to reach paradise. http://www.chaldonchurch.co.uk/chaldon-mural. These wall paintings really are as amazing as the website picture shows. The church is supposed to be open daily so we should be able to see murals. A linear walk from Totteridge & Whetstone tube to Hampstead Heath. We mostly follow the Dollis through parks and woods, including a nice view of the Mill Hill viaduct. The walk is either paved or else firm underfoot so hopefully no deep quagmire. The walk officially finishes at the Hampstead Heath Extension and then we drop down to Golders Green station and Cafe Persia for afternoon tea near the station. A lost railway, overgrown platforms, disused stations, and abandoned Tunnels. Meet Finsbury Park tube station at 6:30 main exit (Station Place exit near National Rail entrance). Finsbury Park has 3 exits so make sure you are at the correct exit. 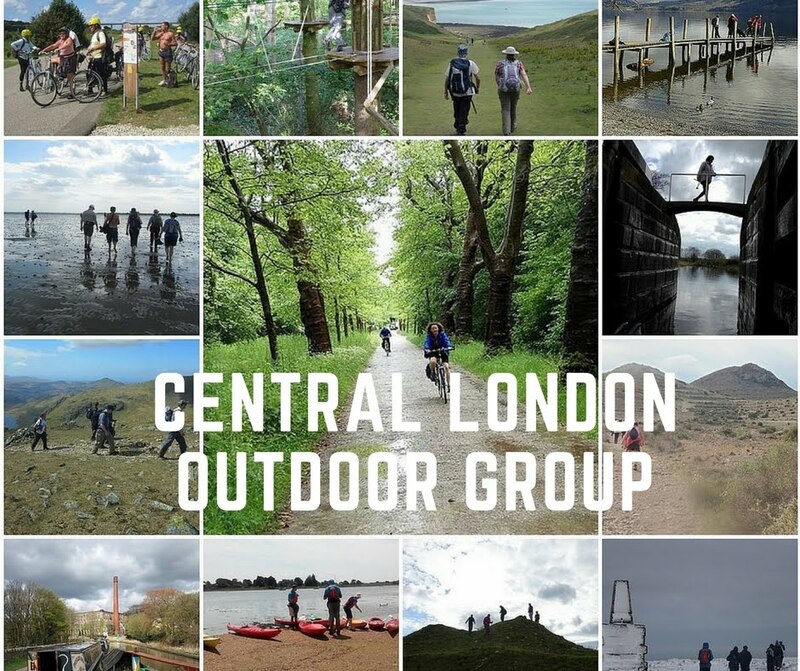 We will be walking through a green corridor following the course of railway lines that once ran from Finsbury Park through Stroud Green, Crouch End, Highgate, and Muswell Hill to AllyPally. It is London's longest Local Nature Reserve complete with bats, squirrels, wildflowers, butterflies, and even the occasional munjac deer.